Veteran journalist Jacob Wheeler puts a human face on the Guatemalan adoption industry through the story of 14-year-old Ellie, who was abandoned at age 7 and adopted by a middle-class family from Michigan. Wheeler re-creates the painful circumstances of Ellie’s abandonment, her adoption and Americanization, her search for her birth mother, and her joyous and haunting return to Guatemala, where she finds her teenage brothers—unleashing a bond that transcends language and borders. 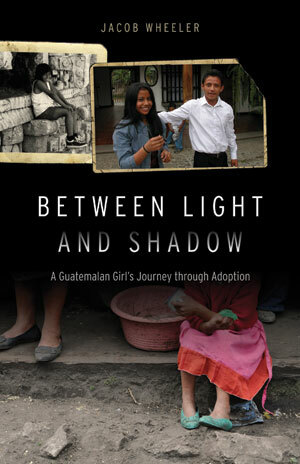 Following Ellie’s journey, Wheeler peels back the layers of an adoption economy that some view as an unscrupulous baby-selling industry that manipulates impoverished indigenous Guatemalan women, and others herald as the only chance for poor children to have a better life. I am here in Mi. and my Son is engaged to a lady from Guatemala and will be coming to the US for their wedding. I would like to know how I can go about getting a signed copy by Mr.Wheeler for her for a gift?